The Daughters of Charity founded Marillac Social Center and St. Vincent de Paul Center over 100 years ago, in 1914 and 1915, and continue to sponsor and support us today. The core values of the Daughters, along with their unique approach to serving the poor and vulnerable, form the heart of our organizational culture. 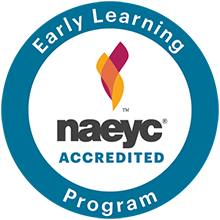 Our Early Childhood Development program is accredited by NAEYC. NAEYC accreditation means that our program meets NAEYC’s 10 standards of excellence in early childhood education. Offers Chicago high school teens innovative out of school activities. Teens at Marillac Social Center participate in fine arts programs as a part of Hope Junior. Marillac Social Center partners with Catholic Charities to provide case management services to families in the community and an emergency Food Pantry. Supports the early childhood programs, including the Birth to Three and Pre-Kindergarten programs. The mission of the Office of Early Childhood Education is to ensure all children ages birth to age 8 have equal access to comprehensive, high quality program options, and support on a developmental continuum. Children in our Birth to Three program at St. Vincent's are referred to Child and Family Connections when they demonstrate a need for Early Intervention services, like speech therapy, physical therapy or occupational therapy. Service providers conduct therapy sessions both at home and at St. Vincent de Paul Center and work closely with teachers, supervisors, social workers and families to ensure children receive the quality services that they need. MSV partners with Christ the King Corporate Work Study Program providing school year internship placements for students enrolled at Christ the King Jesuit High School. The Youth agency administers a variety of programs to address the needs of Chicago's youth. The senior services agency administers a variety of programs to address the needs of older Chicagoans. Our Senior Service and Youth Counseling Programs are made possible in part through generous funding through the City of Chicago. Both of our Centers are application sites for the Low Income Energy Assistance Program (LIHEAP). The LIHEAP program assists low-income households by paying for energy costs in the form of one-time payments to utility companies to be applied directly to the household’s energy bills. St. Vincent de Paul Center works closely with therapists from DePaul Family and Community Services, a community mental health provider whose primary focus is to serve at-risk children and families. St. Vincent’s social workers refer families to DePaul FCS when they are in need of counseling, and therapists provide services onsite at St. Vincent de Paul Center and at the DePaul FCS location. Marillac St. Vincent Family Services partners with The Emergency Fund to connect eligible Chicagoans to immediate financial assistance during a crisis or transition. Marillac St. Vincent’s food pantries are member agencies of GCFD – Cook County’s food bank. A nationally recognized nonprofit training and technical assistance agency that uses innovative community based approaches to support direct service Providers in Promoting the Health of Mothers and Infants & Families. The Child Care Assistance Program provides low-income, working families with access to quality, affordable child care that allows them to continue working and contributes to the healthy, emotional and social development of the child. Our Centers administers the family eligibility process directly on site. 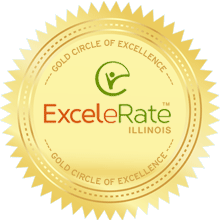 We are a member of this statewide network of organizations that advocate for high quality, responsible and sustainable approaches to providing human service in Illinois. The network includes nonprofit, government, faith-based, business and education leaders who agree that our communities are healthier and safer when residents have access to bedrock public services such as early childhood learning, after-school programs, family support, assistance to the disabled, workforce training, violence prevention, and homecare for the elderly. Our Centers are members of this coalition of diverse organizations that believe in building the support needed to solve Illinois’ budget crisis, prevent harmful cuts to essential public services, save jobs, eliminate the state’s long-term structural deficit, and make taxes more fair. Located inside Marillac Social Center, presently has grades kindergarten through 4th grade. The mission of the Learn Charter School Network is to provide children with the academic foundation and ambition to earn a college degree. St. Vincent de Paul Center Outreach Program partners with P.A.C.E. Program offering internship placement for young adults with multiple intellectual, learning, and developmental disabilities. Network of food pantries, soup kitchens, shelters, and social services working to alleviate hunger on the Northside of Chicago by supporting member agencies in their work. Graduate level interns from Northwestern University provide weekly on-site speech and language therapy to young children who are referred by their teachers and parents for services. Therapy is provided on-site at St. Vincent de Paul Center and weekly progress summaries are provided to teachers and parents so that they may support the children’s language development at home and in the classroom. The Ounce invests in healthy development of at risk infants, toddlers and pre-school children. The Ounce supports Marillac's Teen Parent Program, Project Hope, both in funding and staff training. A collaborative project developed by several prominent social service agencies who meet monthly for peer support, coordination of care and to share best practices serving the senior population. Offers state of the art Science & Math equipment and resources to Marillac's early childhood program. The same program encourages Marillac's preschoolers and teachers to excel in math, science and technology. Marillac Social Center partners with St. Anthony Hospital in their community outreach. Marillac presently houses a pediatrician and midwife who offer health care to our families. A child abuse prevention program funded by the Department of Children and Family Services. Our social workers participate in monthly network meetings that focus on improving communication between child care programs and child welfare agencies. Taproots is a community program that offers group sessions on conflict resolution, family life education, violence prevention and aids prevention. The Tutoring Chicago Program helps economically disadvantaged students succeed in elementary school and beyond. Free tutoring from adult volunteer tutors is offered on-site at St. Vincent de Paul Center during the school year. Connects people with excess goods to local charities in need. By matching specific donations to specific needs, they help reduce the cost and effort of getting goods to local nonprofits.